University (WKU), and the Kentucky Museum with a Kentucky History Award in the category of Community Impact for the exhibit, “A Culture Carried: Bosnians in Bowling Green.” On display at the Kentucky Museum through May 11, 2019, the exhibit is an outgrowth of the Kentucky Folklife Program’s Bowling Green Bosnia Oral History Project, an ongoing effort in partnership with WKU Folk Studies to document the experiences and traditions of the local Bosnian-American community. This award is among 12 KHS presented at its annual membership meeting and History Awards presentation. 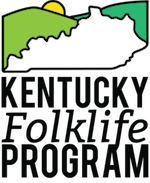 The Kentucky History Awards honor individuals, organizations, and communities for their efforts to promote and preserve state and local history.